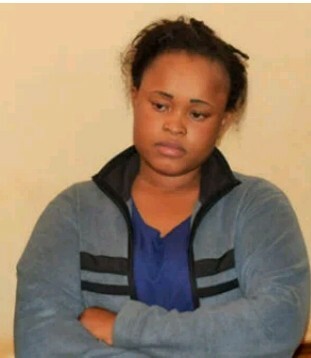 Judy Wangui Murder Case: One of the key suspects in the murder of businesswoman Mary Wambui kori has told a court that she is being sexually assaulted and tortured. Ms. Wangui made the claims during the mentioning of her case at Kiambu. Through lawyer Cliff Ombeta, she told the Kiambu Senior Principal Magistrate Stella Atambo that two female officers from Juja Police Station assaulted her on Friday night by inserting pepper in her private parts. She also said that the officers caused injuries on her thighs and the upper part of her body. At the same time, Joseph Kori, who is the husband to the deceased asked the court to release him so that he could take of his children and bury his wife. He broke down in tears numerous times. During the mentioning, detectives from the homicide unit requested the court for the suspects to be detained for another period of 14 days. The detectives told the court that the murder case was complex, and they wanted to develop a strong case before charging the suspects. This was objected by Mr. Ombeta who told the court that the detectives were looking for excuses to cover up for their slow investigations.